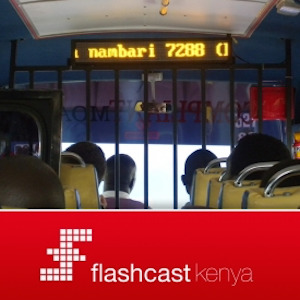 FlashCast displays are installed in large public transit vehicles (carrying 30-50 passengers). FlashCast’s most basic displays are LED marquees (scrolling text) capable of updating with the latest, most relevant content in real time. Displays are GPS-enabled. Each display contacts the cloud-based campaign server periodically to download messages relevant to their current and upcoming location. FlashCast uses a contextual algorithm to determine which messages to display at any given time, on each vehicle in its network. Each time a display enters a new territory and displays a new message, the transit operator hosting the display is credited with a share of revenue from the campaign’s sale. FlashCast has already passed developmental stages and is now ready for serial production. At present, the company has reached 7,238,658 passengers. The product has a 3G modem and localization proficiencies. The service is currently available in Kenya.